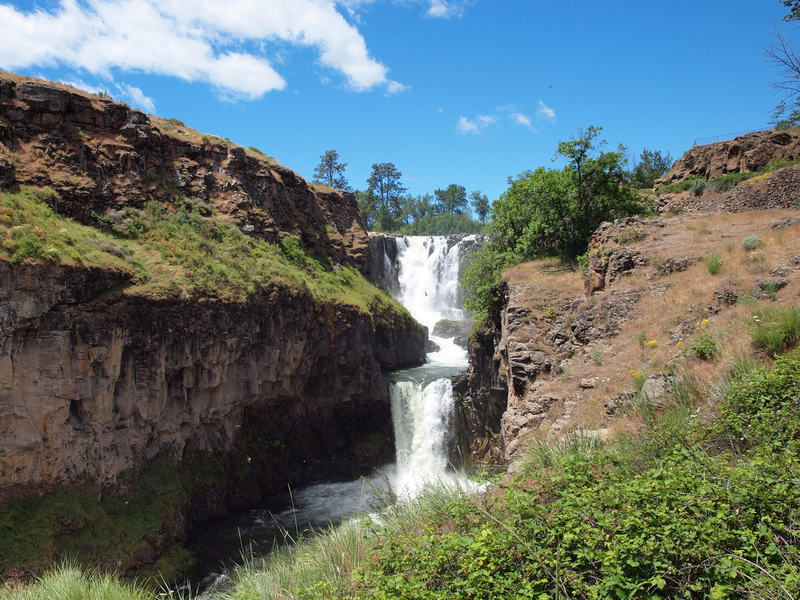 By just about any measure, White River Falls State Park is one of Oregon’s “hidden gems.” Even though it’s fairly easy to find (turn at the Sherars Bridge Road just north of Tygh Valley on Highway 197,) it’s distance from Portland and it’s relative newness as a State Park make it still relatively unknown. 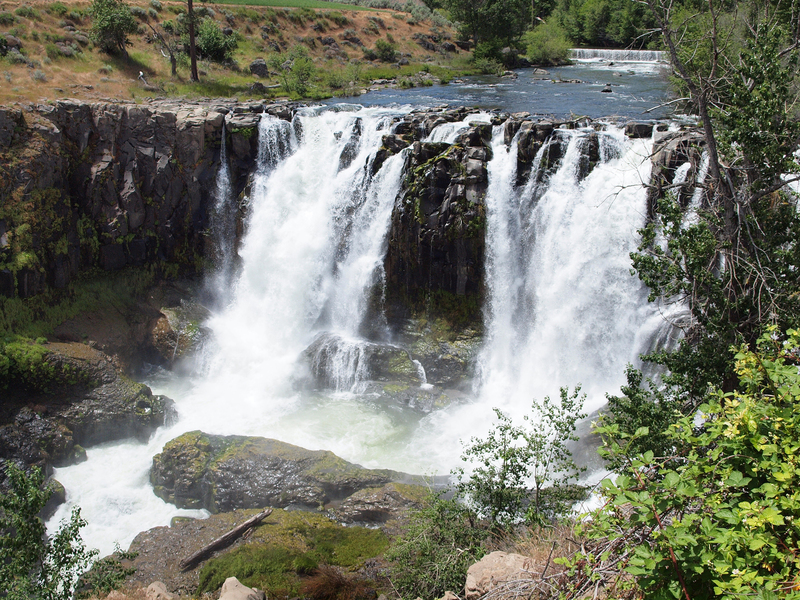 The site of the Waterfalls was donated to the State of Oregon in 1974 and initially known as Tygh Valley State Wayside. 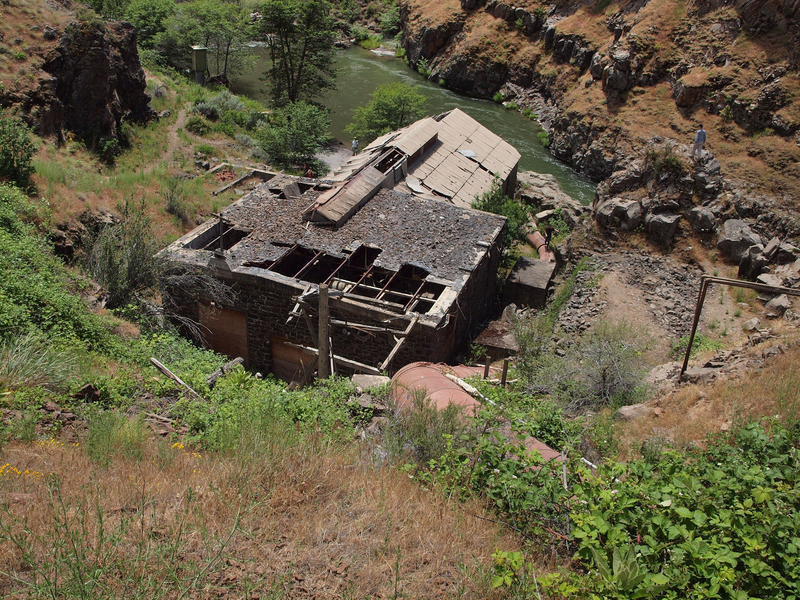 Until 2001 it was still a poorly maintained gravel road and parking lot with a rough trail down to the river, the view of the falls, and the remains of the powerhouse. Since then the path and parking lot have both been paved. A newer restroom has been built. Parts of the trail down the hill were paved to provide an easier walk to a good viewpoint of the falls. Once you get a bit further down, the history behind this park immediately becomes evident. 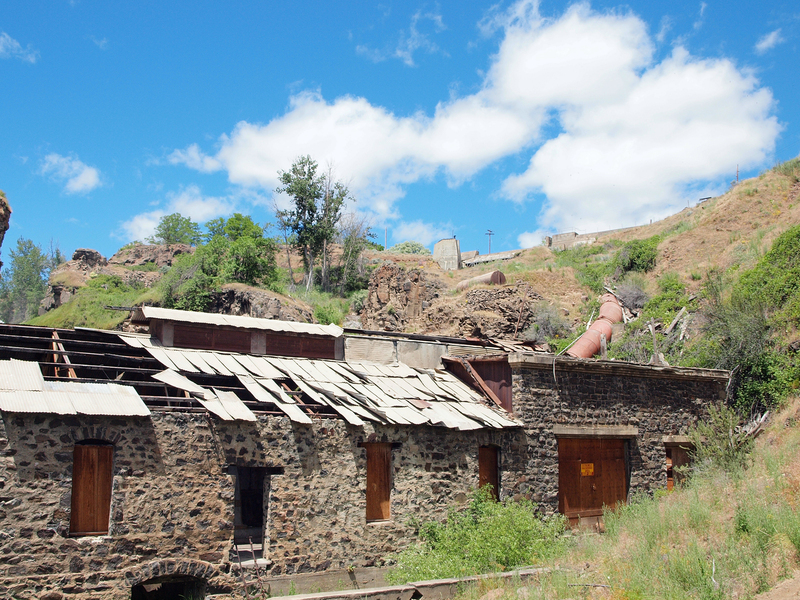 In about 1902 the Wasco Warehouse Milling Company, built the dam and powerhouse to power its major mills in The Dalles, Oregon to the North. 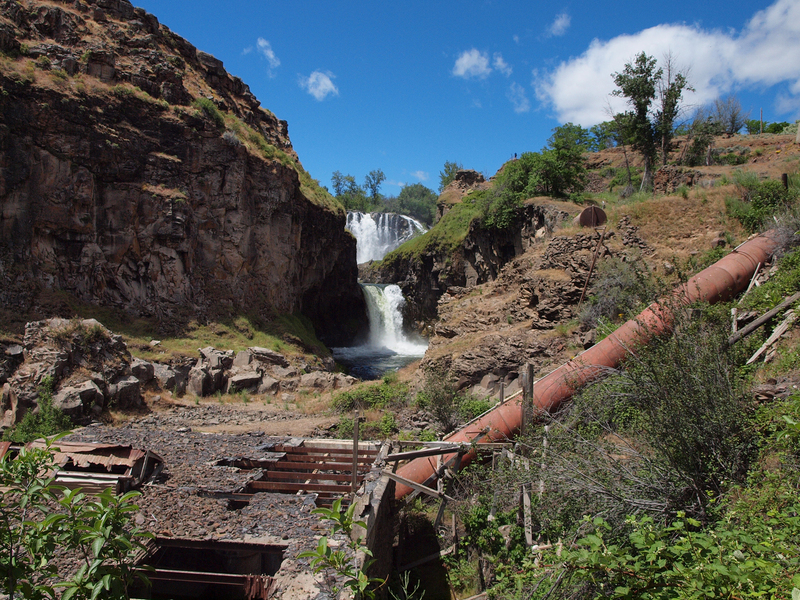 I can’t really figure out how this spillway factored into the falls as it’s at a right angle to the original falls. It looks like may have held back a smaller river that entered the basin here. 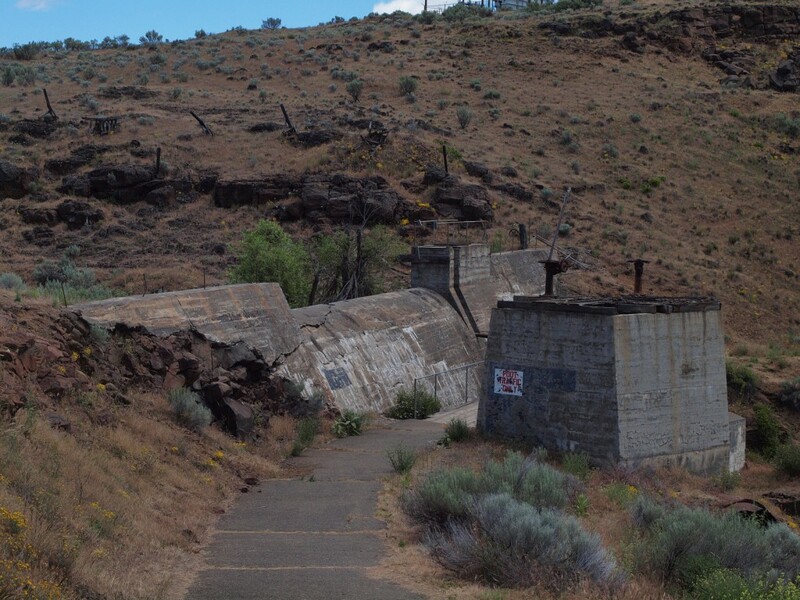 Either way, part of the water from that spillway was gravity fed via pipes (the remains of which can be seen all the way down the hill,) to the powerhouse. The Pacific Power and Light Company bought the dam in 1910 and operated it until The Dalles Dam was finished in 1957. 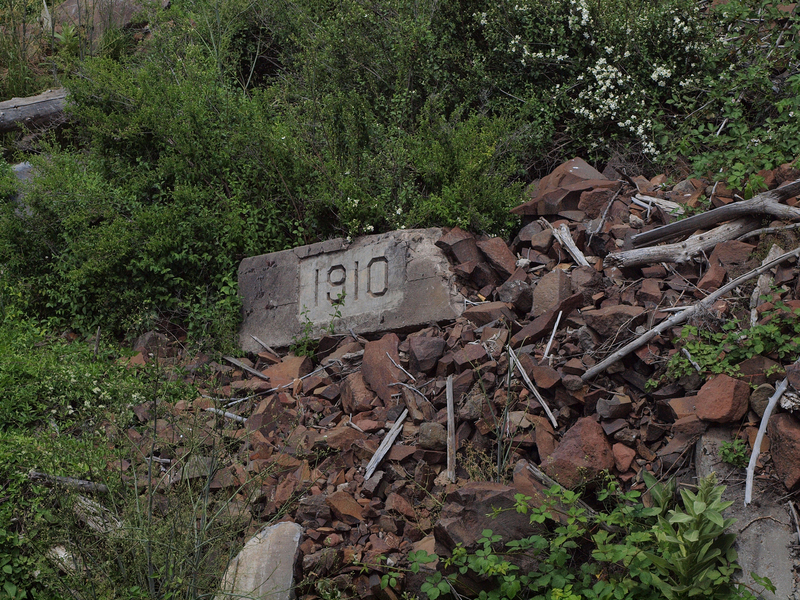 It was totally abandoned in 1963 before being turned over to the State in 1974. 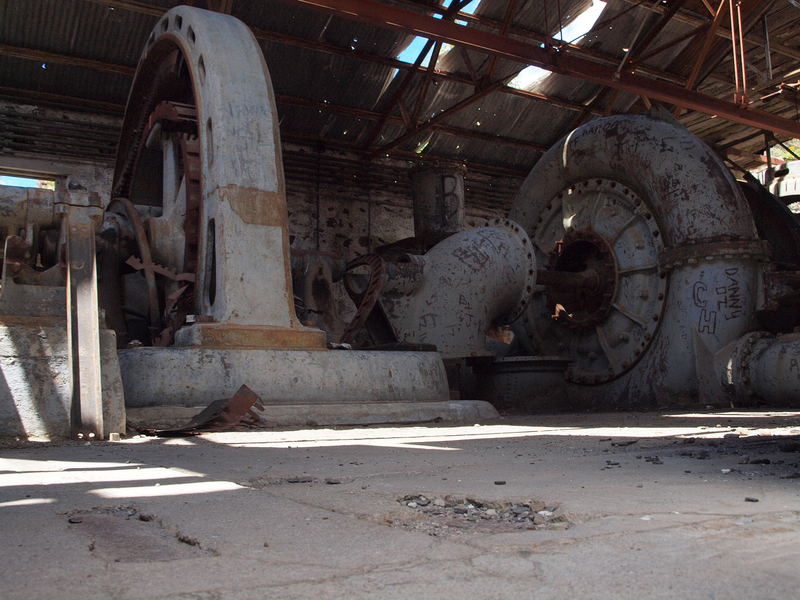 Plans in the mid 80’s to rebuild the site with a larger turbine were eventually scrapped. <img src="http://PNWPhotoBlog.com/wp-content/uploads/sites/11/2012/09/Back-up-the-Hill-1024×768.jpg" alt="White River Falls State Park, Oregon" title="White River Falls State Park, Oregon" width="1024" height="768" class="aligncenter size-large wp-image-1890"
As you can see, there is a pretty interesting industrial feeling to things here. This view of the channel below the falls tells an interesting story to Geologists, how the river cut through solid rock over millions of years. 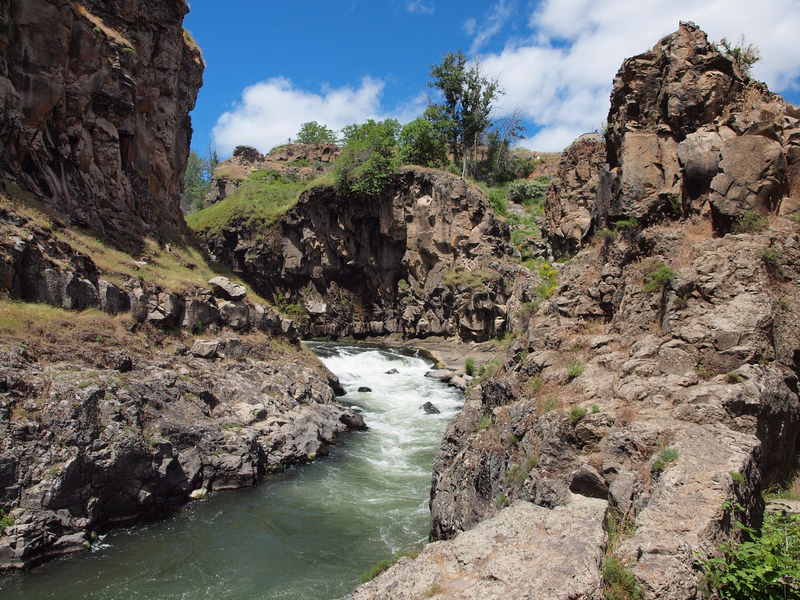 Being only two hours from Portland, and an hour from Hood River, perhaps it’s better that this park remain unknown. The small parking lot realistically can’t hold many vehicles at one time, and too many people would ruin the park atmosphere and risk the buildings deteriorating further. Never the less, it’s a beautiful place to visit.